Donate to Paddle Florida | | Paddle Florida, Inc.
Paddle Florida supports paddling in Florida and protection of the environments in which that takes place. 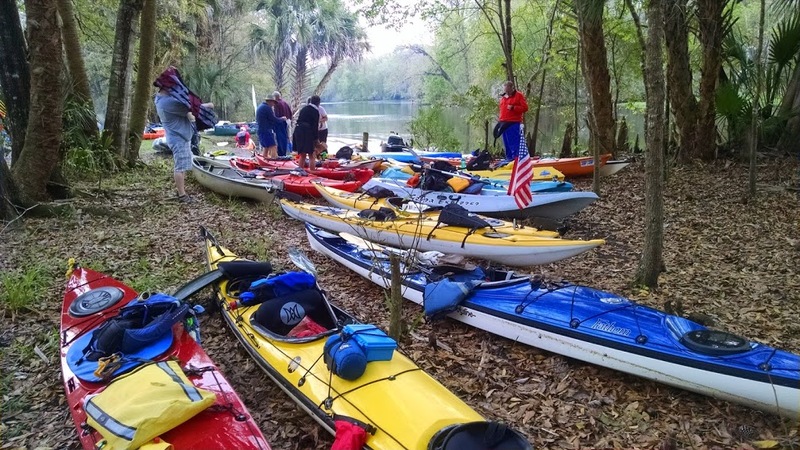 Our multi-day paddling events promote water conservation, wildlife preservation, springs restoration, and protection of Florida waterways. Paddle Florida also seeks to promote Florida as an international destination for nature-based tourism in general, and paddling in particular. You can assist us in these worthy efforts by (1) joining us on one of the several adventures scheduled annually on Florida's wild and scenic waterways, (2) donating to Paddle Florida via our secure online payment by clicking on the blue button above. Support Florida's waters while you shop! Harness the power of your online purchases by signing up for AmazonSmile and confirm your desire to support Paddle Florida. Amazon will then donate 0.5% of the price of your eligible purchases to Paddle Florida. 1. Donate your vehicle to Paddle Florida. 2. Get a tax deduction receipt for your donation. 3. Help a cause that you care about! If you have an unwanted vehicle of any kind--car, SUV, motorcycle, RV, jet ski, or even a boat with a trailer--you can use vehicle donation to get rid of it. Simply donate your vehicle to Paddle Florida and help the environment at the same time. We offer you a fast, hassle-free way to donate your vehicle to a non-profit that is working to ensure Florida's natural resources are here for future generations to enjoy. For more details, contact Bill Richards at bill@paddleflorida.org or (352) 377-8342. Paddle Florida, Inc. is a 501 (c) 3 non-profit organization, Florida Department of Agriculture and Consumer Services registration number CH-37719. Contributions are tax-deductible as allowed by law. One hundred percent of all contributions goes to Paddle Florida, Inc. A copy of official registration and financial information may be obtained from the Division of Consumer Services by calling toll-free within Florida: 1-800-435-7352. Registration does not imply endorsement, approval, or recommendation by the State of Florida.